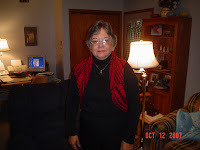 I finished the shrug made from Nashua "Vignette" yarn. It is a nice wool and it is warm to wear. I am pleased with how it turned out, but would make any future shurgs bigger. 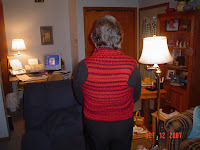 I really love this shrug you did - it looks fantastic in this warm and calm colorway! Beautiful work!